Dementia with Lewy bodies (DLB), also known as Lewy body disease, is the second most frequent cause of age-related neurodegenerative dementia. At least 5 percent of people aged 85 and older are thought to live with this little known but not uncommon and devastating disease. 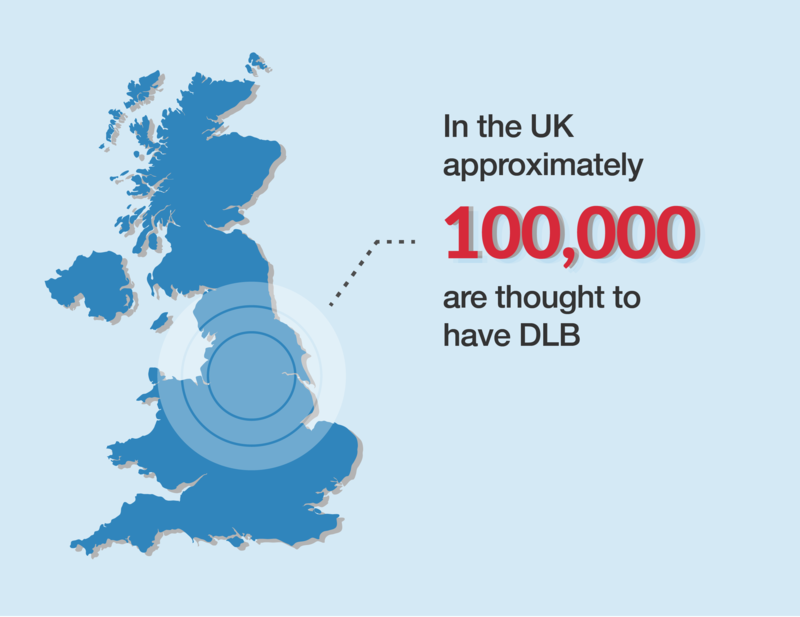 In the UK approximately 100,000 are thought to have DLB. 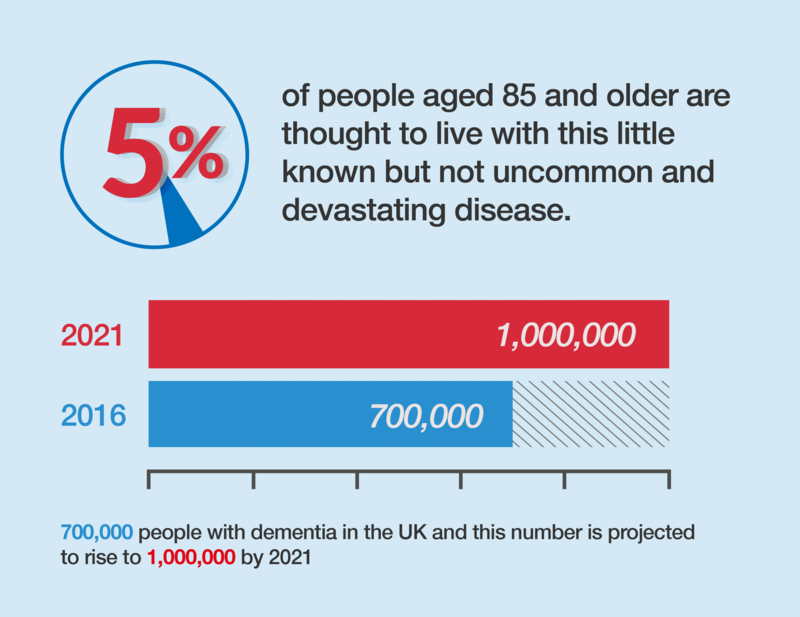 There are presently over 700,000 people with dementia in the UK and this number is projected to rise to 1,000,000 by 2021 unless a cure is found. There are currently about five million people with dementia in the European Union. These figures represent only patients; caregivers double or treble the number of people whose lives are directly affected by dementia and relatives and friends increase these numbers further. people with DLB are characteristically highly sensitive to certain drugs which can worsen unpleasant symptoms or even be fatal. Dementia with Lewy bodies (DLB) was virtually unknown until the beginning of this century. Due in large part to a close collaboration between researchers in the UK, Japan and the USA, it is now recognised as a distinct medical condition and not a variant of Alzheimer’s or Parkinson’s diseases. 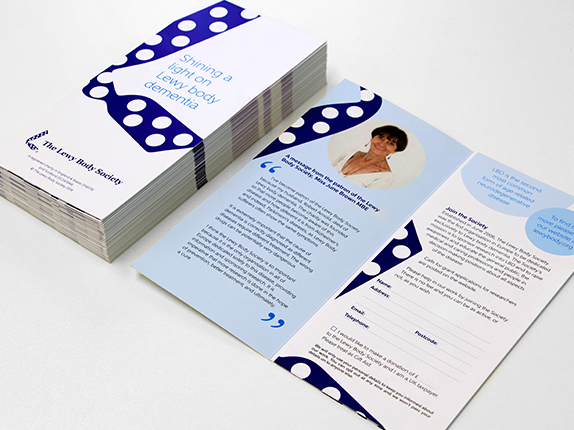 The Lewy Body Society was founded in 2006 in order to support research into DLB and to raise awareness and educate the public, the medical profession and those in healthcare decision-making positions about the disease. The first LBS funded research was a PhD studentship in molecular genetics which began in 2007. The Society is currently funding research at Cambridge, (University College) London, Newcastle and Southampton Universities. View and download the LBS leaflet here.